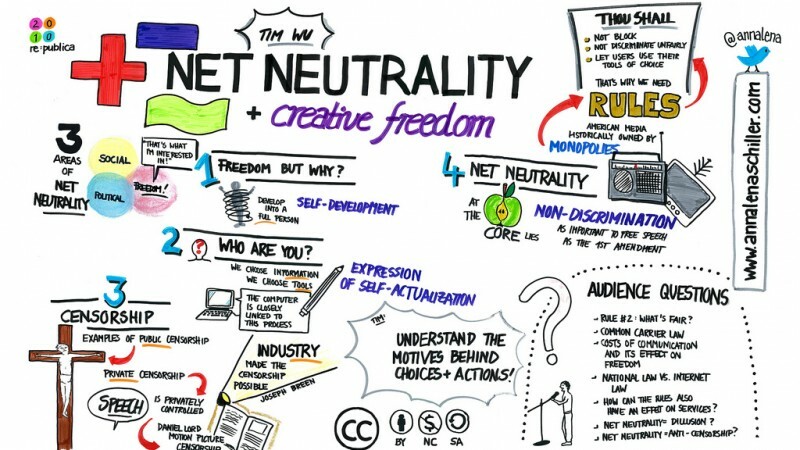 India distinguished itself as a global leader on network neutrality on February 8, when regulators officially banned “differential pricing”, a process through which telecommunications service providers could or charge discriminatory tariffs for data services offered based on content. In short, this means that Internet access in India will remain an open field, where users should be guaranteed equal access to any website they want to visit, regardless of how they connect to the Internet. In India, given that a majority of the population are yet to be connected to the internet, allowing service providers to define the nature of access would be equivalent of letting TSPs shape the users’ internet experience. As the country with the second largest number of Internet users worldwide, this decision will resonate around the world. It follows a precedent set by Chile, the United States, and others which have adopted similar net neutrality safeguards. The message is clear: We can’t create a two-tier Internet – one for the haves, and one for the have-nots. We must connect everyone to the full potential of the open Web. While the new rules should long outlast this moment in India's Internet history, the ruling should immediately force Facebook to cancel the local deployment of “Free Basics”, a smart phone application that offers free access to Facebook, Facebook-owned products like WhatsApp, and a select suite of other websites for users who do not pay for mobile data plans. When TRAI solicited public comments on the matter of differential pricing, Facebook responded with an aggressive advertising campaign on bill boards and in television commercials across the nation. 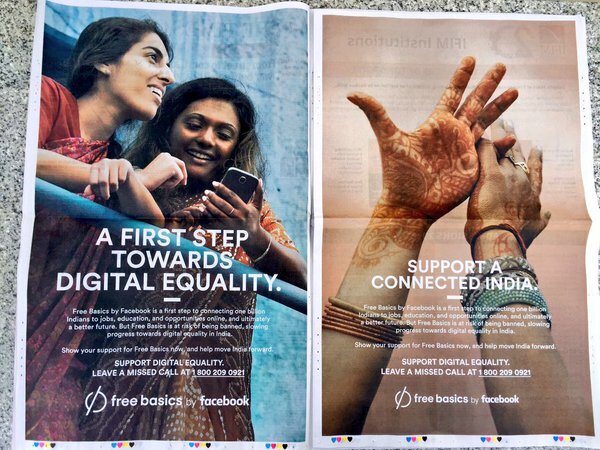 It also embedded a campaign inside Facebook, asking users to write to TRAI in support of Free Basics. Two-page Free Basics newspaper advertisement urging Indians to advocate against net neutrality protections before the government. Image widely shared on social media. TRAI criticized Facebook for what it seemed to regard as manipulation of the public. Facebook was also heavily challenged by many policy and open Internet advocates including non-profits like the Free Software Movement of India and the Savetheinternet.in campaign. The latter two collectives strongly discouraged Free Basics by bringing public opinion where Savetheinternet.in alone facilitated a campaign in which citizens sent over 2.4 million emails to TRAI urging the agency to put a stop to differential pricing. Alongside these efforts, 500 Indian startups including major ones like Cleartrip, Zomato, Practo, Paytm and Cleartax also wrote to India's prime minister Narendra Modi requesting continued support for net neutrality—on the Indian Republic Day January 26. Stand-up comedians like Abish Mathew and groups like All India Bakchod and East India Comedy created humorous and informative videos explaining the regulatory debate and supporting net neutrality which went viral. Had differential pricing been officially legalized, it would have adversely affected startups and content-based smaller companies, who most likely could never manage to pay higher prices to partner with service providers to make their service available for free. This would have paved the way for tech-giants like Facebook to capture the entire market. And this would be no small gain for a company like Facebook: India represents the world's largest market of Internet users after the US and China, where Facebook remains blocked. A terrible decision.. The worst part here is the haves deciding for the have nots what they can have and what they cannot. So all is not lost in the world, for the next two years at least. Do come back with a better plan, dear Facebook, and we'll rethink, of course. The ruling leaves an open pathway for companies to offer consumers free access to the Internet, provided that this access is truly open and does not limit one's ability to browse any site of her choosing.